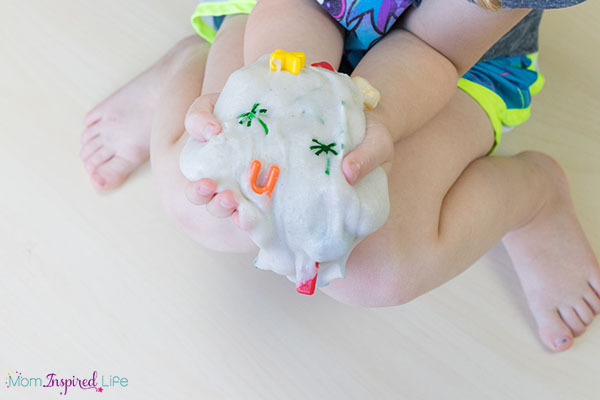 Kids love slime and this Chicka Chicka Boom Boom slime is so much fun to play with! 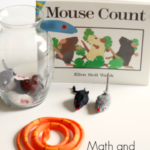 It’s a wonderful science and sensory activity to pair with this popular book! We have really been enjoying Chicka Chicka Boom Boom activities over the last few weeks. 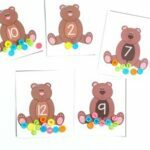 These counting mats were a great way for my kids to practice counting, number identification and even addition. 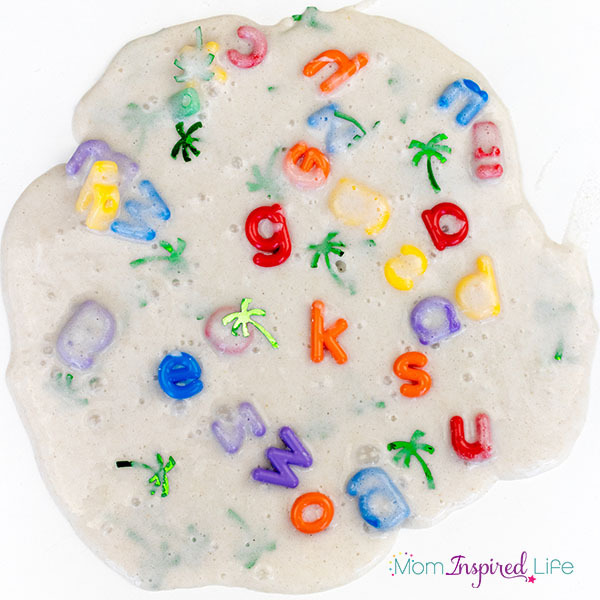 My kids also love it when I make this Chicka Chicka Boom Boom snack for them. It is super simple to make and once you buy the supplies you can make it again and again and again. 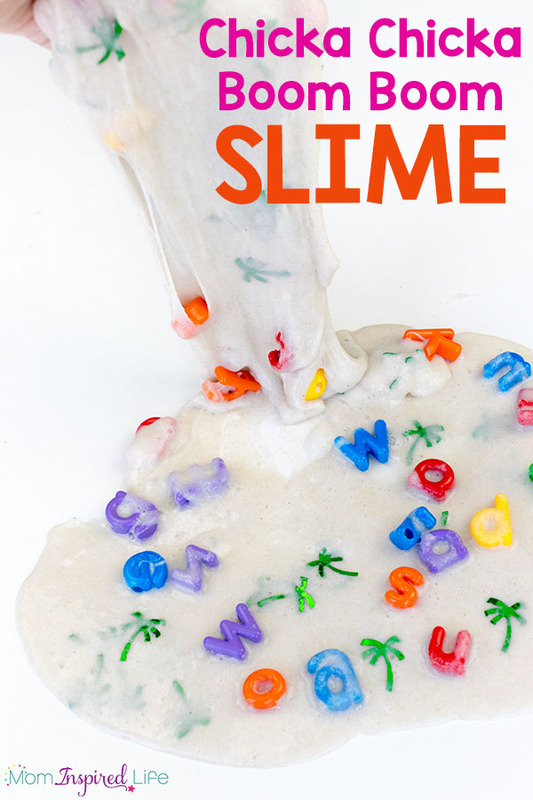 This week I decided to add in some sensory fun with this cool Chicka Chicka Boom Boom slime inspired by the book. 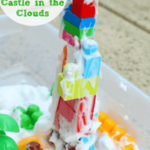 It is actually quite easy to make and my 4 year old was totally into it! 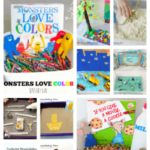 The base is a sand slime and then I added some fun additions to give it a Chicka Chicka Boom Boom theme. It really does go perfectly with the book. 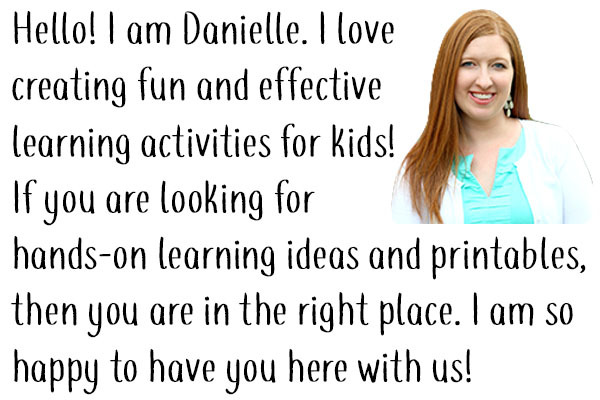 Although, it was mostly just for fun, I can’t help but mention that it is also a neat way for kids to explore letters of the alphabet in a way that is pressure-free and enjoyable. As always, make sure you make the slime and that you supervise all children while they are playing with it. Also, make sure that they don’t put the slime in their mouth, eyes, etc. and that they wash their hands after they play with it. Add the glue to a bowl and then pour in the water. Stir until the glue and water is totally combined. Add the liquid starch to the bowl and begin combining everything together. The slime should begin to combine quite quickly. If it seems a bit dry add a tiny bit more starch until you get a good slime texture. Remove it from the bowl and knead with your hands until it feels right. You don’t want it to be too sticky. 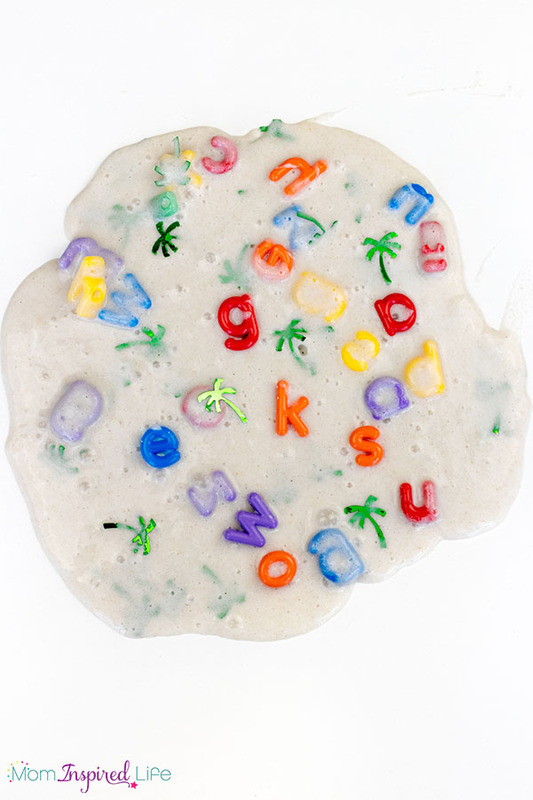 Then add the confetti and alphabet beads to slime. You can add a bit and then knead and mix them together. And then add some more and continue mixing. 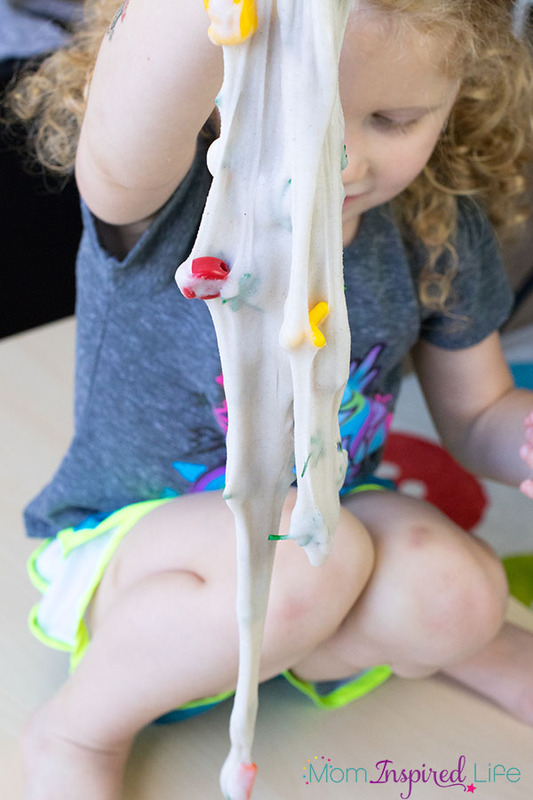 Now you have Chicka Chicka Boom Boom slime! 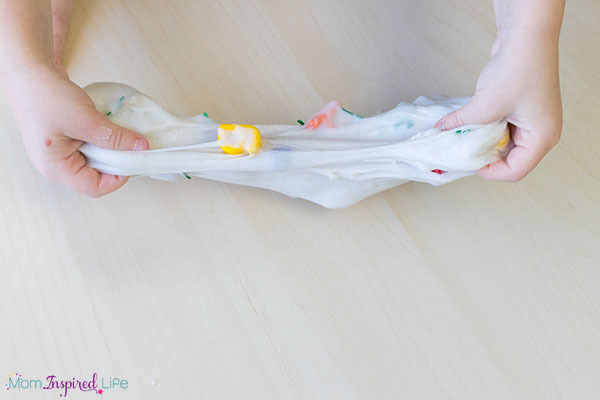 My kids loved playing with this slime. 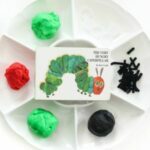 It was a fantastic sensory activity to go with all of our other Chicka Chicka Boom Boom activities! 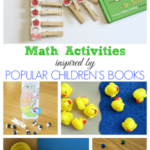 Check out these other fun Chicka Chicka Boom Boom activities!